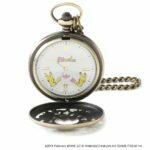 Following the announcement of two adorable Pikachu and Eevee plush dolls, ITS’DEMO has unveiled a limited edition Pokemon pocket watch in Japan. 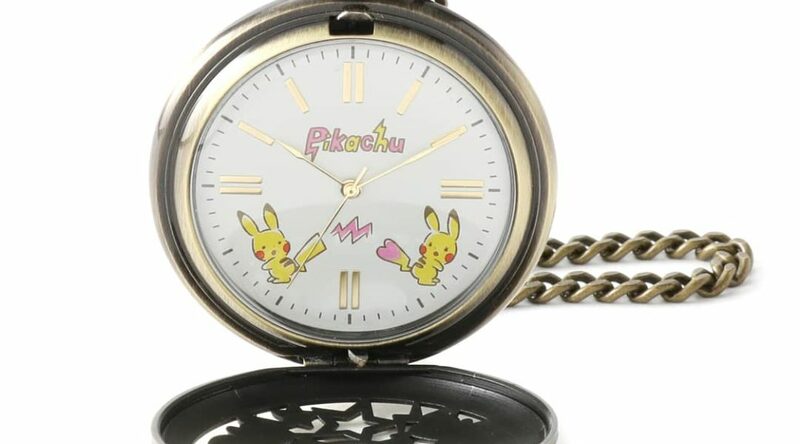 The pocket watch features a Male Pikachu and Female Pikachu together with each other. 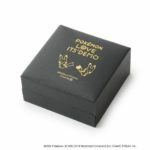 It costs 7,800 yen (excluding 8% sales tax). 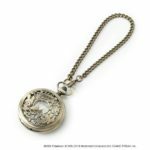 Pre-orders will begin on the official ITS’DEMO store on September 11, 2018.